The journey has been very beautiful and there has been a lot of learning. The most important thing is that you can be happy no matter what. As an engineer, my first realisation was that I always thought that things, which were very obvious to me, were also very obvious to others. But I identified that what was obvious to me need not be very obvious to somebody else – that itself was a big shift in understanding because then you would assume what you are seeing, people are seeing too. And then you think that they are behaving funny, but it’s not so because what you see is different from what others see. Therefore, from your communication to the way you look at people changes and you are more open to different point of views. I did my Art of Living course when I was in IIT, and it helped me a lot not only as a person but also with my studies. Before I came into Art of Living, or before I came into IIT, I was always a class topper and that’s how you come to IIT. And when you come to IIT, you don’t realise that in the class of intelligent people somebody has to be last also. And I was not in the top half for sure and being in the bottom half itself is a very depressing thought. I was not in a very good state of mind when I did the Art of Living course. And doing that course changed my perspective a little. I became more accepting towards what happened with me in IIT. I started doing the practices regularly and in a couple of semesters things changed for the positive – not only with my outlook but with my grades also. From being in the bottom half of the class, I was in the top half of the class and from CPI of 6.8 it changed to 8 point something – there were tangible benefits. True happiness is beyond any circumstance, event or person. We usually want people to behave in a certain way or we want the situations to be in a certain way so that we are happy but that is very conditional happiness. That is because when people or situations change we lose our happiness. So, something which is in spite of how people or circumstances are is true happiness. Being happy I’m more energetic and more relaxed in my mind. Being happy I can change; rather than waiting for things to change I became happy. Unfortunately, we never understand our minds or how it functions. The people who taught us also never knew how to handle the mind. When you learn to handle your mind, slowly you learn to change your life also – the way you see situations, the way you see life. Meditating, Pranayama and yoga and other small keys help understand our minds. So, Art of Living is all about understanding your own mind and learning about the mind. Bhagavad Gita has nothing but references to modern life. It talks about how to take care of your responsibilities, body (how everything functions) and it is a book of life where it teaches how to live life or lead life. More than spiritual knowledge, it has a lot of scientific knowledge and when we read we suddenly realise, ‘Oh yes, this is how life is’. So it gives you very simple and effective insights into your mind, body, soul, situations and everything else. I feel there’s no situation that cannot be solved using the Bhagavad Gita even in modern day life. The only trick is to remind yourself about your happiness and be happy. The mind cannot be handled directly so that’s where the breath comes into play as every mental pattern is connected to the breath pattern. When we are angry, all of us breathe in a particular way and so is the case when we are sad. So if we learn to breathe happy, we will be happy and that’s what Sudarshan Kriya (breathing technique) is all about – it connects us to the breath of happiness and it comes as a transformation from within. Happiness should be the driving force to achieve other things in life and there should be no reason to be happy. Even if you have to fight, and you are energetic in body and relaxed in mind you will be able to fight better. So, everything in life can be done better when you are happy. Whatever you do in life is because you want to be happy. 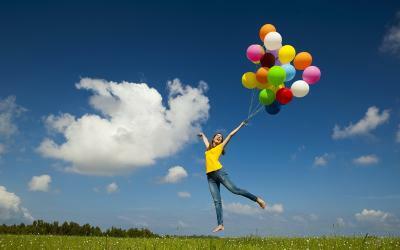 Even if you want to earn money or have a better job or relations, it is to be happy. Life is a play of energy and when the energy is low that is the time you are sad, and that is the time you tend to be diseased. It’s all about the language. When you are high in energy, you tend to be healthy, happy and enthusiastic at the same time – and again in the language you say ‘I’m feeling high’. And if we learn to increase the level of energy we will be happy and healthy as well – both go hand-in-hand. Happiness doesn’t lie in your situations, it depends on your energy levels. Even when people do funny things to you it doesn’t even bother you and you learn to walk away. Happiness is in maintaining those energy levels.